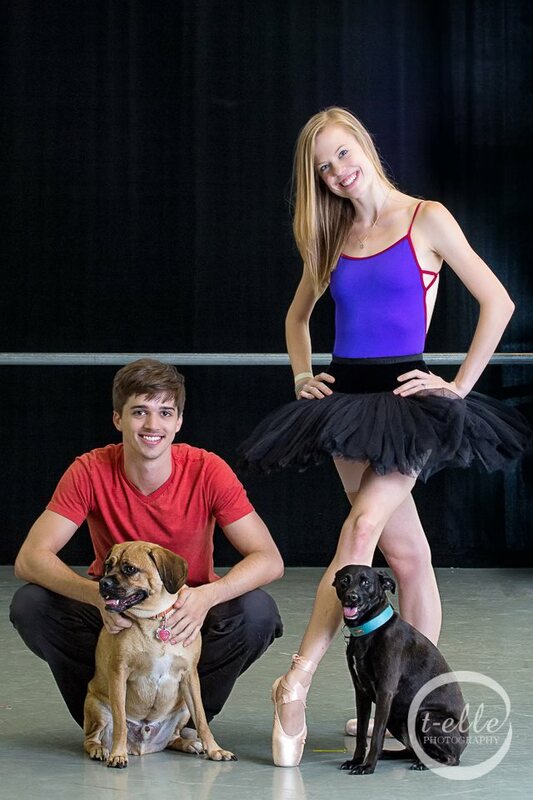 will become a monthly PNB BLOG series featuring seasonal recipes by two of our very own dancers. I have grown to know this beautiful couple as the cookers of the company. Every weekend they are out at the Ballard Farmers’ Market picking the freshest ingredients and always finding the best recipes. I asked them to contribute a monthly entry to the PNB BLOG so you can get to know them better and see what dancers go to for fuel (and desserts!). Here is the first of many exciting posts by Emma Love & Price Suddarth. Does the combination of those two words make you melt as much as it does me? The smell, the flavor—the entire idea of it makes me giddy. Add it before the words ice cream and you’ve hit the jackpot. 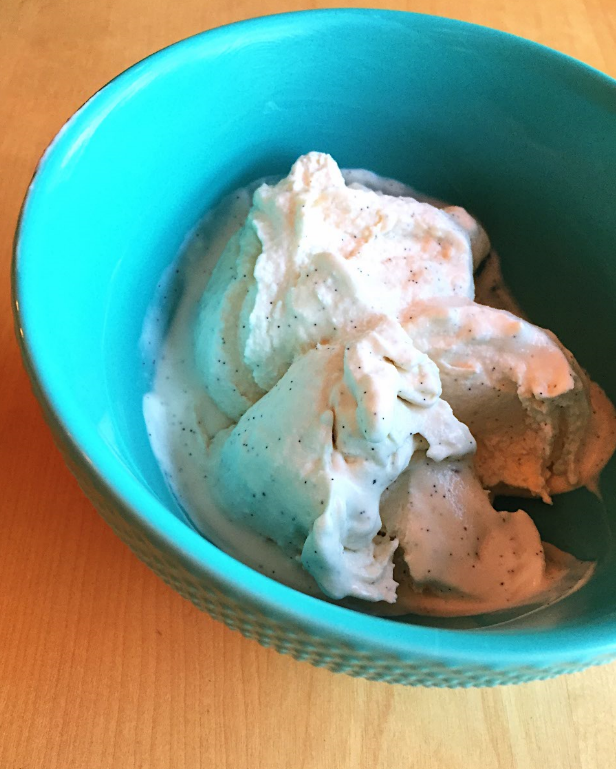 What can’t you do with a good vanilla bean ice cream? For the simple taste, you can add chocolate syrup. For the fancy take, you can add salted caramel. For the fresher palate, you can add fresh fruit. For the childhood memory, you can crumble in girl scout cookies. For the purist, you can enjoy it simply as is—sweet, delicious, vanilla bean. How do you like it? We absolutely love to cook. It’s our “thing.” When we come home at night—sore muscles and tired feet from long rehearsal days—we find rest in the routines of the kitchen. Chopping, seasoning, sautéing… which leads to chewing, swallowing, savoring… which leads to washing, cleaning, and relaxing. We love testing out new recipes, or coming up with our own concoctions, or relying on tried-and-true favorites. Whether its by means of a cookbook, magazine, blog, Pinterest find, or our own heads—the time in the evening spent in the kitchen is some of our favorite of the day. While ingredients like Swiss chard, shallot, heirloom tomato, broccolini, or brussels sprouts frequent our grocery or farmers’ market list, those like vanilla bean do not. Desserts and baking don’t make it into our regular cooking routine too often. They often take more time—and patience. Admittedly, I’m not likely to be as patient when it comes to a cookie. As a major cupcake lover, I’ve definitely tried my hand at baking those here and there—ending up with some great combinations, such as graham cracker cupcakes with whipped cream and fresh peaches, or almond cupcakes with a peanut butter topping and fresh strawberries; however, there have definitely been some baking fails too (sometime I’ll have to address our late-Thursday-night attempt at pumpkin cupcakes for “cupcake Friday,” a brief installment one season at PNB). More often than not, I’d prefer to leave it to favorite spots like Macrina Bakery, Hello Robin, or Molly Moon’s to fill our sweet tooth needs. However, this last sun-filled weekend changed our minds. 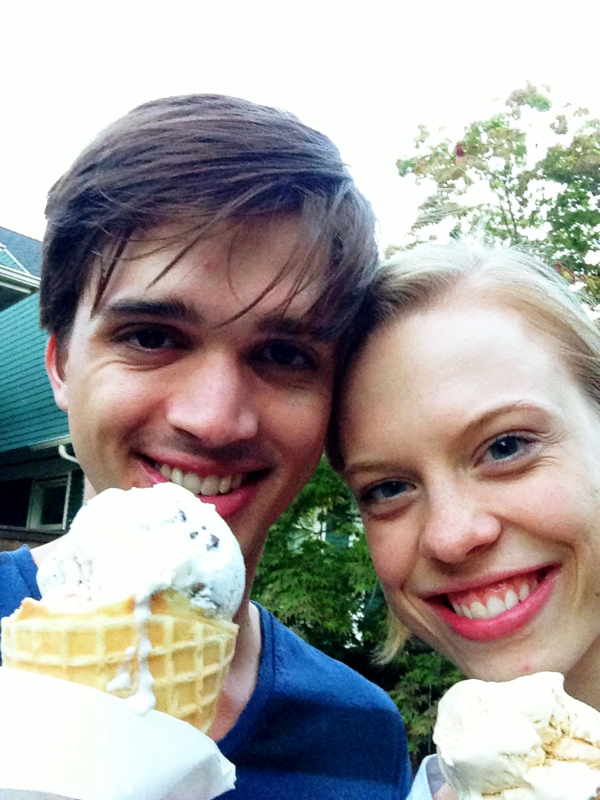 Price & Emma Love Suddarth with their Molly Moon’s ice cream. 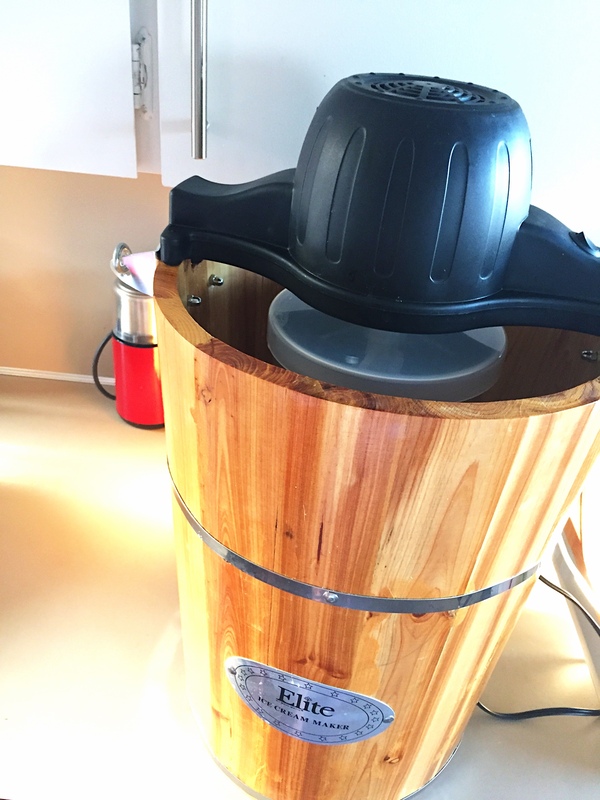 Homemade ice cream is a fond memory for Price, and we received an ice cream maker from his grandparents for our wedding. Best part? It’s electric—no hand crank required! Sadly, we’d only used it a couple times over the past couple summers. When we used to live in the Queen Anne area, on warm spring and summer days, we would frequently take a post-dinner walk from our apartment to Molly Moon’s with the pups—one standing outside with them while the other went in empty-handed, then returned with two overflowing cones. These walks may be one of the things I miss most about living in that area. Now that we are out of dog-walking range, we needed an alternative. “Any desire to make homemade ice cream tonight?” As if he needed to ask. It was a sun-filled, summer-feeling weekend, and it was only April. With a busy schedule, we’ve had a low number of two-day weekends this season, and each one that comes up almost feels like a mini vacation. When on vacation, we like to go extra cooking-crazy, trying numerous new recipes, testing out unfamiliar ingredients, or experimenting with new techniques. Vanilla bean ice cream? Sounds crazy, right? Sounds unfamiliar? Sounds innovative? Ok—no. Sounds delicious though? Definitely, yes. Luckily, I recently purchased a Molly Moon’s cookbook for just such an occasion. As I opened it I dreaded the daunting recipe that lay ahead—I expected a handful of skills I don’t have. Let me just tell you—easiest recipe we’ve tackled in ages. No cooking eggs, no lengthy ingredient list; all it took was five simple components—heavy cream, milk (we used almond), sugar, a pinch of salt, and vanilla bean—and some quality time in the ice cream maker. We made some adjustments (to the cream/milk ratio)—as we frequently do—based on personal tastes. Creamy, rich, smooth, delicious vanilla-bean-rich ice cream. Vanilla Bean Ice Cream. Photo by Emma Love Suddarth. Combine all the ingredients in a saucepan and cook them over medium heat—whisking intermittently. Just before it starts to boil, take it off the heat. Remove the vanilla bean pods from the liquid mixture and then scrape the seeds back into the pot. Put the scraped pods back into pot and stir to combine. Pour the mixture into a bowl and put it in the refrigerator to chill for 1-2 hours. Once it’s chilled, take the vanilla bean pods out. Pour it into the ice cream maker and let it go! From there to the freezer, and from the freezer to your bowl and spoon. Adapted from the Molly Moon’s cookbook. We don’t have many cookbooks on hand, but this one has earned a place in our regular rotation. Next on our ice cream agenda? Price’s favorite when we visit Molly Moon’s—maple walnut. Daunting? Nah. Excited? Oh yea. In the future of our food musings there’ll be a complete recipe in the post, but you’ll have to track down the book for this one; however, I still thought it was just too tasty to pass up. There’s some vanilla bean left in our freezer… I think I’ll be heading that way right now.